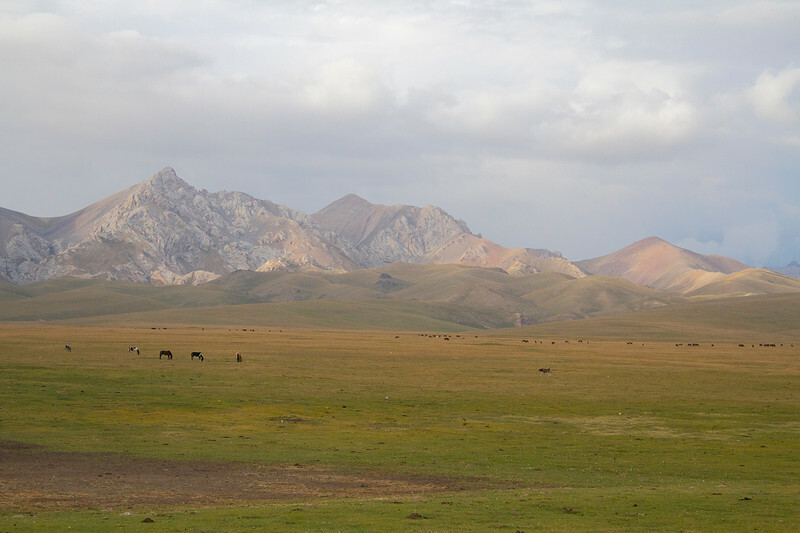 Unspoilt natural splendour in Kyrgyzstan. The world sure is a beautiful place. And we travel to experience this beauty for ourselves – to breathe it in, photograph it, or lock it away inside our memory, for those times when life is lacking excitement. Yet, travel can wreak untold devastation on destinations. People litter. They take more than they give. They harm the local community. They partake in cruel animal activities. Sometimes, this is done unknowingly. Other times, people simply just don’t care. 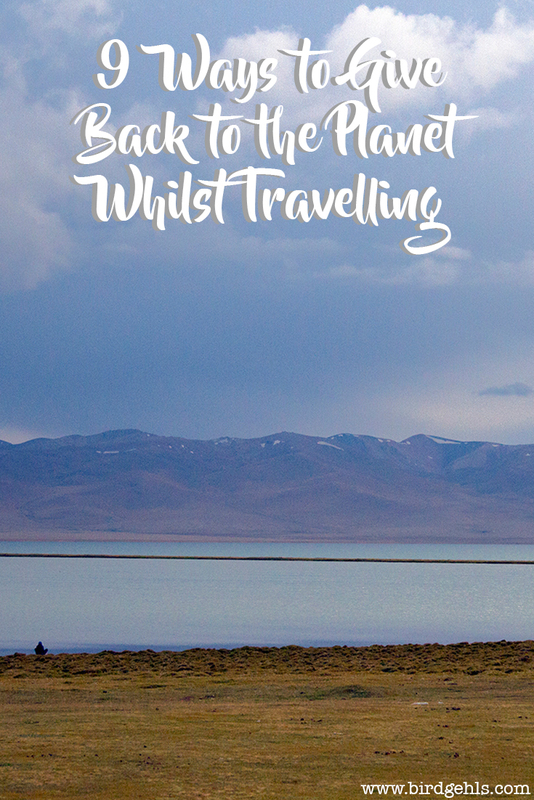 If you want to minimise your environmental footprint, there are extraordinarily simple ways you can go about giving back to the planet whilst travelling. Here are a few ideas. If you’re walking around, turning your nose up in a stink at the rubbish around you – why not lend a hand in cleaning up the place? Particularly at the beach. Beaches really are the last places that should be inundated with rubbish (yet so many of them now are). I remember wading into the waves at South Beach, Miami in early 2016 and feeling a gentle tickle around my feet. “Oh, seaweed!” I thought to myself and reached down to grab it for inspection purposes. It was a plastic bag. Gross. Yet, one that I could then use to conduct my own beach clean up, walking the length of it and jamming stuff in the bag until it was full. It doesn’t have to be a whole bag, particularly if you’re short on time. There is a wonderful online initiative which encourages people to simply take three items with them whenever they’re at a large body of water (or anywhere, really) the aptly named Take 3 For the Sea. I know our trash problem stems a lot deeper than this. Yet, it’s a step in the right direction. I really, truly believe this is a simple way to instantly become a more green-minded person. We’ve been brainwashed to think that single-use plastic items are “hygienic” and necessary – meanwhile, the sheer abundance of them is choking the planet. Fun times. It’s all a matter of convenience. Yes, it is convenient to take a plastic bag with you when you go shopping, or drink your coffee out of a takeaway cup. Yet, it’s not hard to chuck a reusable shopping bag or KeepCup into your bag to use whenever needs be. A spork comes in handy for any street food scenario and with all the filtered bottles on the market, there’s no need to have to buy your own water now, ever. What really gets my goat are straws. They are the most pointlessly redundant item in existence and they do untold damage, particularly to marine life.. I’ve learnt to ask people not to give me straws whenever I’m ordering a drink. Sometimes they’re on auto-pilot and forget, but they often find it such a weird request that they do remember. Don’t speak the language of the country you’re in? This post includes plastic-free translations for several different languages across the globe. 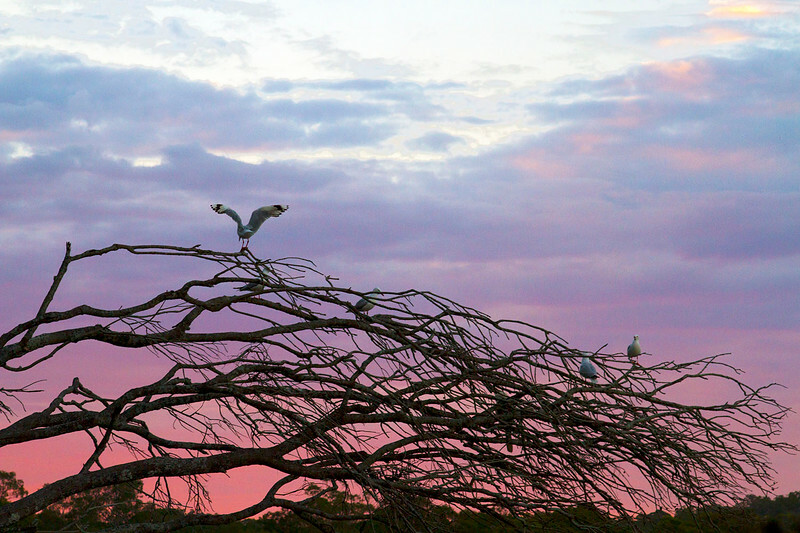 Lake Macquarie in New South Wales, Australia. Noooo, this is terrible advice as why would you bother re-purchasing something that you already have? Like a toothbrush. If you already have one plastic toothbrush that’s still in brushing order, why ever would you need another one? Also, plastic toothbrushes are silly when you can easily swap them out for bamboo toothbrushes – I’ve been using these ones for over two years now and utterly adore them. The only scenario in which this is okay is if you accidentally forget the item, of course and if so, I empathise. I am constantly forgetting things and it is an upsetting way to live your life. Likewise, don’t leave rubbish lying around! This goes for tissues, cigarette butts, toilet paper… keep it all on your person until you can dispose of it correctly. 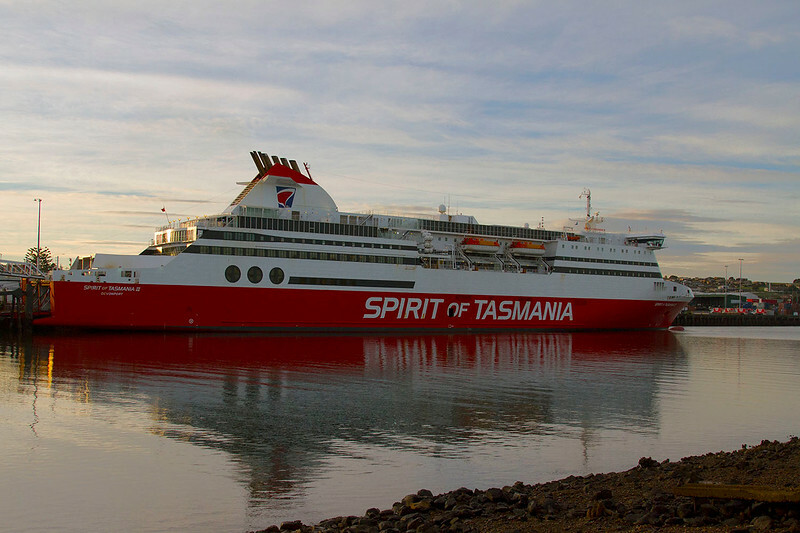 Riding the Spirit of Tasmania 2. Flying is almost always the most convenient way of getting to a place – yet I can’t be alone in thinking it’s the least fun, can I? I can hardly call being herded around like cattle, treated like a two year old, before being sat into a wholly uncomfortable chair for hours on end a good time. I’d almost always opt for a train ride, boat journey or road trip over flying any day. They make take longer, but they’re often much more fun. So, for all those who rattle on about the journey rather than the destination being the important bit… avoid flying like the plague! I honestly don’t think there’s anything wrong with buying souvenirs – as a compulsive hoarder, I like to litter my flat with memorabilia that I’ve collected around the world. The purchasing of souvenirs is at its most effective when you know you’re giving back to the local community. I find art and handmade jewellery tend to fit the bill in this regard. I’m also a big fan of buying books both secondhand and otherwise, as every time a bookstore closes, a kitten dies. Or something like that. You can read them and pass them off to other travellers at hostels, or alternatively keep the books on you so that they can one day become a part of your home library. Isn’t that everyone else’s greatest aspiration in life, too? Here’s a simple rule you can use for greening up your toiletries bag – if you wouldn’t put it in your body, why would you put it on your body? Oh, I have another good one. If I can’t pronounce the ingredients in a product, I won’t use it. Shea butter for example, is so much easier to say first go than Methylchloroisothiazolinone, which is some kind of chemical preservative. Cool? There are plenty of planet-friendly brands working to make ingredients that are safe for both your body and the planet (I like Meow, Meow Tweet for body stuff and Ere Perez for make up). Be discerning and do your research – just because something says it’s organic, doesn’t mean it actually is. And please, please avoid those horrible little “travel-sized” deodorants, shampoos, etc that you can get at Priceline/drug stores. Decant your products into reusable bottles like GoToob. Pack a bar of soap into its own tin (you can find them online, particularly on Etsy, or have a poke around your nearest secondhand store). Buy a reusable see-through bag for security at airports, or at the very least, use the same bag over and over again until it has truly had it. There are a lot of opinions on the interwebs over what one should do where animals are concerned, when travelling. Some people stick strongly to the school of “animals only belong in the wild” and adhere strictly to this. They won’t participate in any activity that involves another creature – whether that be riding elephants, (on which there is countless evidence in that this is a bad thing to do) or visiting zoos. I think there are good experiences to be had. For example, I like to support many of the zoos in Australia, due to their conservation programs. I refused to ride a camel in Doha because it had sad eyes, but I have ridden horses around the world and only felt like it was the wrong thing to do on one occasion. I think the best thing to do, is to go with your gut and trust your woman’s waters (female or no). If it feels wrong – it probably is. 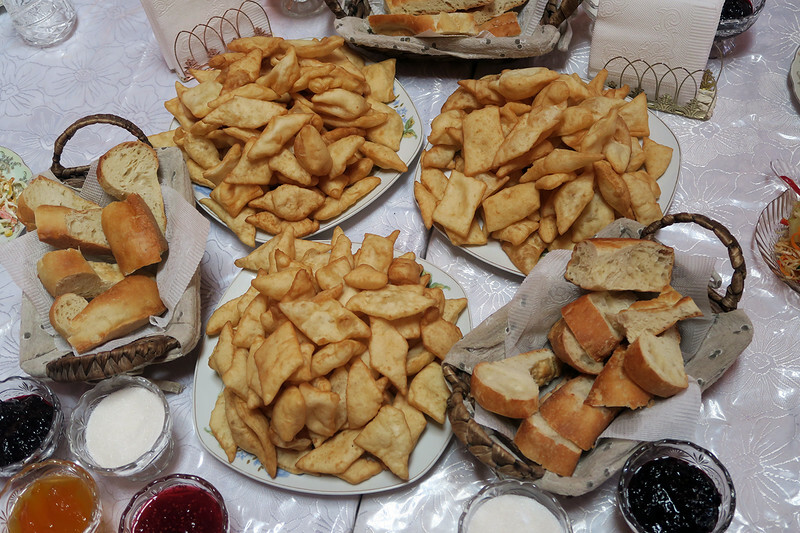 All the carbs in Kyrgyzstan. As a rule of thumb, it’s generally best to eat two servings of red meat a week, if you eat meat at all. The environmental impacts of the meat we as a society consume are alarming, but vegetarianism isn’t for everyone (although I for one, am very excited about the possibility of lab grown meat and then less enthused about the idea of eating squirrels). Meat is generally expensive to buy whilst travelling too. So, limit your consumption to those times where you really want it and work instead on upping your vegetable intake. Good health for all! How do you give back to the planet whilst travelling? Please note, this post contains affiliate links to products I use myself and therefore recommend to all green travellers. Thank you for supporting my war on plastic! The ‘leave no trace’ is one of my pet things! I drives me bonkers when we go camping or hiking and there’s a million toilet paper bits in the bush or chocolate bar wrappers, urgh. I don’t know how many wrappers and bottles I’ve picked up along hiking trails over the years (though I must say that I stop at toilet paper and tissues… 🙁 ). And a great reminder to get a bamboo toothbrush!! Once I’ve used up my stock of 10-pack toothbrushes (can you see me rolling my eyes at myself here?!). I don’t blame you with the toilet paper and tissues – it’s pretty gross (I don’t pick them up either and feel bad, but I ain’t putting my bare hands all over someone’s bodily fluids). Haha, well it’s good not to waste! And the bamboo toothbrushes can go straight into the compost when you’re finished! Yeah, toilet paper in the bush… people are gross. Seriously gross. Great post! I’m trying to be more eco-friendly with my travels and will keep these in mind when I’m traveling, thank you for sharing! Cheers Kim! It’s so worth the effort, isn’t it? Love this! So many small and simple steps that we could all be doing. 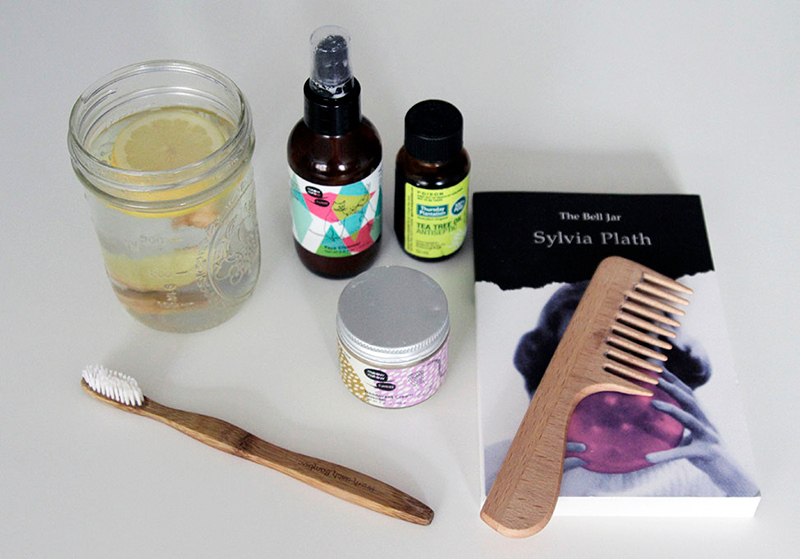 I’ve been trying really hard to get chemical free products for our upcoming adventures. There’s some great products to be found around Oz – I feel we’re really leading the way in this regard, which warms my heart. Great suggestions, especially in relation to the single-use plastics. These are also good ideas for while at home. It especially amazes me how much litter we find while on trips and at home. Such a positive and inspirational message. Cheers Kate! Yeah, it blows my mind – I’ve been working real hard at it for over a year and half now and produce next to no rubbish. It’s not that difficult, once you set your mind to it. Thanks Rhiannon, I do hope so too! I strongly believe that one should clean up and not just when traveling. It should be a constant habit. I’m an Indian and it upsets me to see my fellow Indians disregard their surroundings and dump trash wherever they want to. On occasion I’ve found myself hunting for a dustbin and not found it so I take the trash back home and dispose of it there. Yes! 100% agree. This is why I love the Take 3 initiative, as it applies to any time, anywhere. Yesterday I saw a Vlog about an little island close to Belize where there was a lots of litter lying around cause plastic and all that crap ends up there as it is taken there by the ocean. This is horrible cause its really bad for the environment, the holiday destination it self and for the holiday experience of the tourist. Thank you for your post. Like you said it is important to be conscious about the environment also when ur traveling. I love everything you wrote, and you are right! Almost everytime we would go for hikes, we would end up seeing and picking up as much trash we can get. Our pet peeve are pet poopie bags that are just being left on trails. I wish people would be more respectful and responsible like you.. 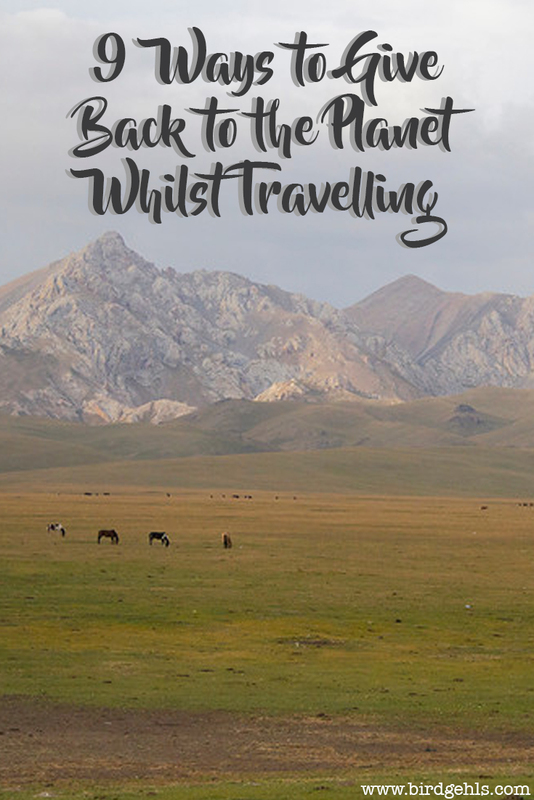 These tips are so practical and awesome that every traveler should read your post!I especially agree with the one saying not to leave anything behind! Thanks Agness! It really is such an important consideration to keep in mind.